A well balanced whisky show is unlike any other conference. It’s a gathering of some of the best whisky makers in the world coming to one place, competing for the attention of attendees by serving some of their best whisky. A well established whisky show is an excellent way to try new products and talk to the people behind the whisky. A few months ago, I attended The Whisky Exchange Whisky Show in London, England. The event featured over 500 different whiskies. This gave those attending an excellent representation of today’s whisky scene with whiskies from around the world. When competing for the attention of London’s whisky connoisseurs, Buffalo Trace wasn't shy about their whisky. I stood by the booth for twenty minutes across the span of the event watching the interaction between exhibitors and guests. Buffalo Trace employees unapologetically noted how cheap their entry-level whisky is. This is a gutsy play when almost everyone was pouring drinks three or more times the cost of the standard Buffalo Trace bottling. It worked with the audience. Going from Buffalo Trace to Eagle Rare, the tastings I observed were a success. Beyond entry level whisky, they also had Eagle Rare 17 and Stagg Jr. The energy at this booth and the wide variety of whisky available was a key to their success. The fact that they started with their cheapest drink to the delight of those attending was a big score. I keep having a single thought when drinking Japanese whisky--it's scotch whisky elevated. The balance of flavour is there, but the intensity is amped up. Both Nikka and Suntory were at the show, and they both poured whisky I've not had previously. The Coffey series from Nikka is excellent. Suntory's Hibiki continues to be one of my favourites. The Hakushu Single Malt 25 Year Old was one of my favourite whiskies of the show. 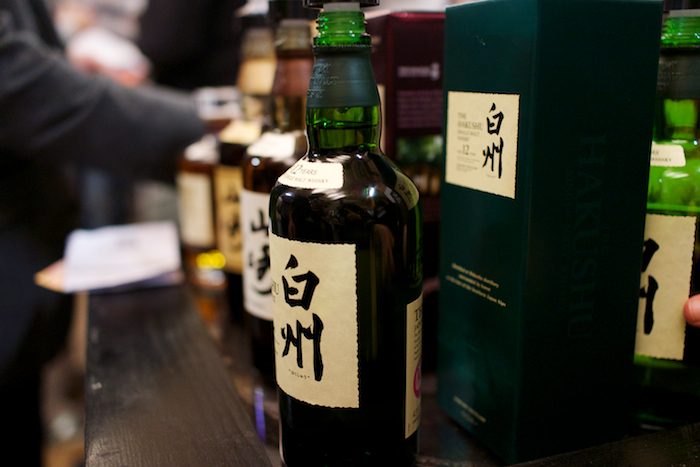 Japanese whisky continues to make news, and there’s reason for it. While Redbreast 12 Year Old is generally available, the other whiskies from this range are a rare find. At the show the 15 and 21 year old were being poured. For the added time spent in oak, neither drink was overly oaky, and instead the focus was on Redbreast's balance of flavours. The 15 year old is my personal sweet-spot for age and flavour. The cask strength 12 Year Old was also quite excellent! Whisky from India is going to be big. Already, Officer's Choice whisky is the number one selling blended whisky in the world having topped Johnnie Walker in 2013. As far as single malts, Amrut Distillery enjoys world recognition after Amrut Fusion won the respect of many whisky critics. I had the opportunity to taste whisky from a third player--John Distillery and its Paul John brand three styles of whisky. These are beautiful whiskies that are only sold in the UK for now, with plans of world distribution. The cask strength is my favourite of the group, and I expect these to be a hit as they get released into new markets. As a whisky writer, one of my favourite experiences is doing barrel tastings. Drinking untouched whisky directly from the barrel is a memorable experience. 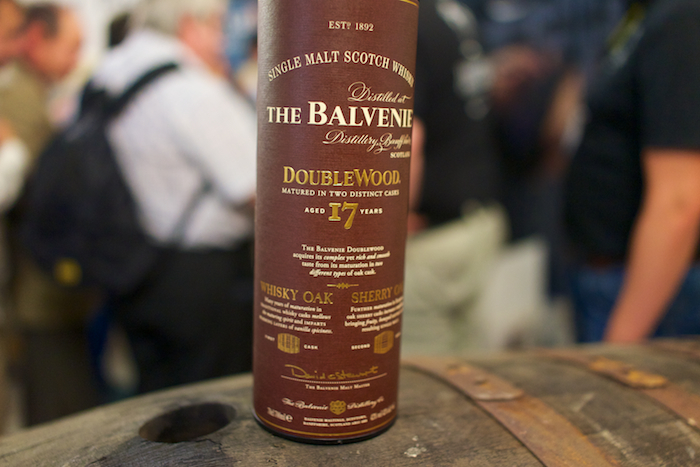 While Balvenie couldn't quite give this experience at the Whisky Show (there's some legal reason why they could not), they did bring two barrels filled with bottle-poured whisky. One was filled with Balvenie 17 DoubleWood and the other with the Balvenie 21 Year Old. As you asked for either of these, they were served out of the barrels. It was an impressive showing that kept people around at the booth. I enjoyed both whiskies! 6. Scotch has competition, but they were still among my favourites. This isn't a new statement, but it is worth repeating. My whisky drinking started with single malt scotch, and I own more whisky from Scotland than any other country. However, Scotch definitely enjoys a loyal following based on the prestige the brand 'single malt' brings to the conversation. Saying that, some of my favourite drinks were from Scotland. Bruichladdich’s 1970 35yo 125 Anniversary drink was incredibly, and despite its age, bravely finished in sherry casks giving this scotch an added element of flavour. Scotch blender Compass Box Great King Street Glasgow Blend was marvellous. The Glenmorangie line continues continues to win big numbers. Balvenie’s TUN 1509 has has an intense level of spice that dares your taste-buds. Scotch might be out-of-favour, but it’s not for the lack of incredible drinks.